Because of the proven relationship between employees' workplace engagement and overall company performance, companies want to encourage employees to communicate and engage as much as possible—and intranets are a fast, efficient way to do that. But how can you actually measure your intranet’s true business value? Step 1: Develop site goals. In my years of studying and consulting with companies on their web analytics strategies, I've found that the biggest obstacle to website success is a lack of goals that measure “Success.” You need to define website/intranet goals to strive towards; then, you can benchmark yourself against those goals. The benchmark will provide something to compare against when trying to make improvements to your site, and will help your team evaluate and promote changes that drive the overall adoption rate of the site. Tip: In the intranet world, the core measurement component for success is adoption rate. Adoption rates tell you whether or not your visitors are finding value in the intranet and adopting it as their primary internal tool to find and share information. Step 2: Define success metrics. Unique visitors (benchmark vs. current) is used to calculate the adoption rate percentage and evaluate the new vs. returning visitor traffic on the intranet. Keyword search metrics allow you determine most popular keyword searches and adjust your content strategy for improved engagement. In-Page Analytics help visualize where visitors are clicking on each page to inform user experience trends and optimize usability on the site. Application-use metrics enhance visibility into the applications most frequently used to drive self-service activities. Visitor comments (measuring the number of comments) on each article helps drive further content around heavily-read articles. Directory metrics validate that visitors are finding contacts quickly. Geography metrics identify the different needs of visitors from various locations, which helps drive adoption across corporate locations. Visitor Flow graphics indicate where users are entering and leaving the site. Step 3: Create a measurement strategy. To be an effective intranet, you need to identify your visitors and understand what goals they are trying to accomplish on the site. Measuring the performance of your intranet is a key component of the overall success and adoption of your intranet platform. Without analytics, there is no way to access, or even improve the success of your intranet platform. At least on a monthly basis, analyze key metrics and goals set forth, understand visitor behavior, and develop any additional goals or metrics that will help further define insights into increasing the adoption rate. At the end of the day, it’s not just about the metrics collected, it’s much more. It’s also about having a measurement strategy in place, measuring the right metrics, and having the organization’s commitment to analyzing and understanding the metrics provided by the Analytics tool (e.g. Google Analytics, Adobe SiteCatalyst, IBM Digital Analytics, Webtrends, IBM Tealeaf, and Clicktale) to deliver valuable insights that will help drive adoption of the intranet platform. 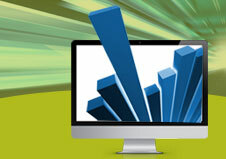 What key metrics are you using to drive business value from your intranet?